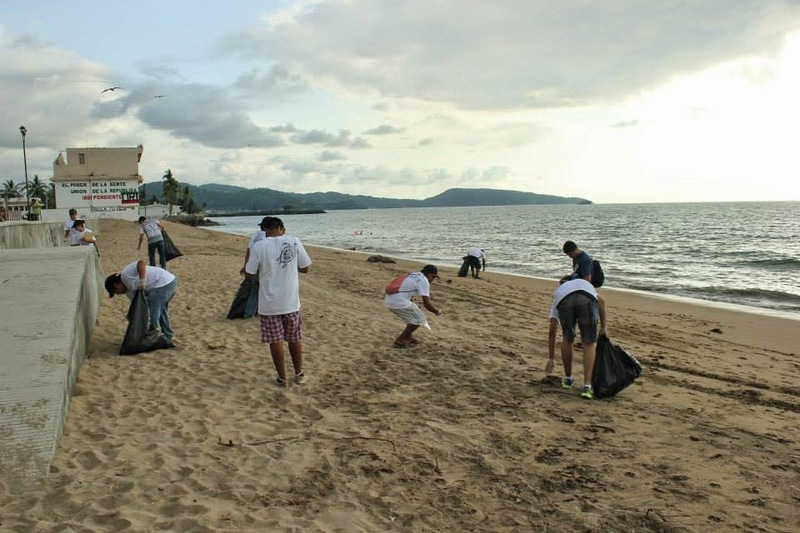 Beach cleanups are now being slated for every second Saturday of the month in order to align the different efforts currently spearheaded by the beach towns of the Riviera Nayarit. Punta de Mita recently joined the group. This Saturday, July 12th, cleanup crews will be visiting the beaches all along the Riviera Nayarit. The Riviera Nayarit Convention and Visitors Bureau coordinated this inclusive event, which is aimed at organizing the efforts of the different groups that all have the same objective. This month, the Punta de Mita Foundation will be joining last month’s cleanup teams. The goal is to keep adding different groups to join in this activity, especially during the sea turtle nesting season. Community leaders from San Pancho, Sayulita, Guayabitos and Platanitos are already aware of and interested in the project, which will be part of a campaign that’s currently underway to help the people of Nayarit identify with their destination. This is an open invitation to everyone and anyone who would like to join in to contact the different groups and become a part of the project to maintain the beaches in the best shape possible. Truth is, there’s a reason the Riviera Nayarit is the domestic leader in Certified Clean Beaches: it has a total of 10. In Punta de Mita the crews will gather at the Punta de Mita Sports Center at 7:00 a.m. Those interested can contact the Punta de Mita Foundation at (329) 291 50 53 or (322) 779 29 06. For La Peñita de Jaltemba, please contact the Grain of Sand Association (322) 116 94 40. The crews will meet at the La Peñita de Jaltemba’s boardwalk at 5:30 p.m. The Volunteer and Friends of Bucerías Group awaits those willing to come and help out in front of Karen’s place at 8:00 a.m. The contact number is (322) 140 68 81. If you’re part of a group that would like to join in the cleanup of our communities or you would like to put together a group of volunteers in your community, please don’t hesitate to contact us at (322) 297 25 16 ext. 108.